From what we can tell, the video draws inspiration from both sides of the pond, showcasing both American and British flags, and has no shortage of confetti. 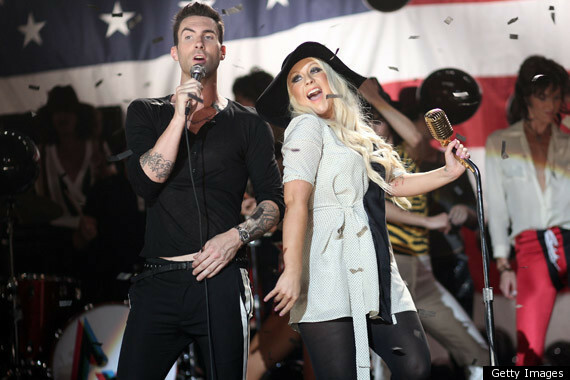 On her way to the video shoot this past weekend, Aguilera tweeted, "Always great to see [Director] Jonas Akerlund. He created the perfect feel for the song. Expect a fun video." We expect nothing less but can the pair really bring it like Mick? From these shots of their music video shoot, it's definitely been brought.